Our friends over at Firebox has just sent me an interesting email about their new products. They’re not the everyday items that you would think of getting for yourself, or a loved one. Ranging from the rude to the down right silly. You’ll see what I mean a little bit lower down the post. What new things they have on offer, according to the press release are, mostly, real useful and one that could be incredibly useful. So, in no order apart from how they uploaded, I give you five,or is it six, new products that you can’t live without. Swiss-made, this classy time-piece easily connects to your phone via Bluetooth and enables you to answer and reject calls straight from your wrist. 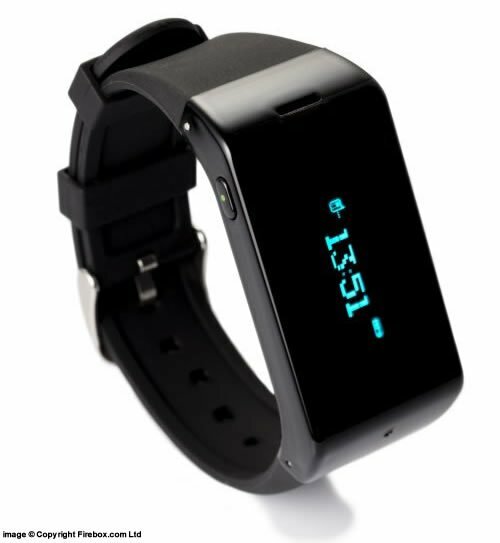 It rings and vibrates as well as displaying the caller’s ID or number on its bright OLED display. The intuitive side buttons and integrated speaker/microphone make it the perfect hands-free solution – that means no more garish headsets in the car and no more frantically probing in the crowded epicentre of your handbag. There’s undoubtedly no better entry into the new and exciting future of smart watches than this high-techticker. Monday morning, the desperate slog begins. The commute is absolutely soul-destroying, your boss is a total jerk and your days are woefully unfulfilling. Finally the blessed weekend arrives. A time to put your feet up and forget your troubles, not get dragged around Ikea. Choose tea, not meatballs and poor quality furniture. If you’ve finally realised that there’s nothing to live for – sit back, dip a biscuit and toast your cynical rat-race existence and weekend consumerist angst with the Work & Weekend Mugs. Now you can use the rugged jaws of this buccaneer bar-mate to prize open Davy Jones’ liquor. 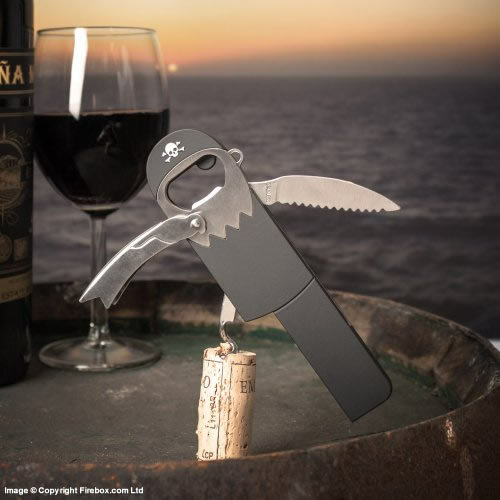 Armed with a serrated cutlass for slashing through foil and a corkscrew peg-leg, he’s well equipped for plundering all sorts of vessels. 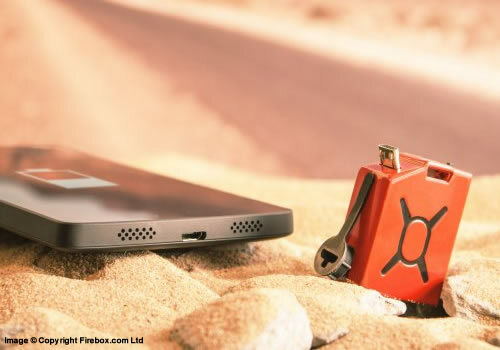 Fuel is the world’s smallest phone charger and it’s compact enough to carry with you at all times. Measuring up at a mere 3.3cm x 2.3cm x 1.3cm, and stuffed with a rechargeable 220mA battery, this feisty little fuel-cell is designed to give you around 20-30 minutes of extra talk time or up to a couple more hours of standby, depending on how you use your phone, so it’s there for you when you really need it. Constructed from a superhuman hybrid of flesh, steel and ceramics; the stern, unwavering mouth of James Murphy (AKA RoboCop) commands the respect of all those who cross him. So fill yourself up with steaming hot beverages and sooth your haunting repressed memories, ready to single-handedly clean up the crime-ridden streets of Detroit via the means of unwarranted gory violence. 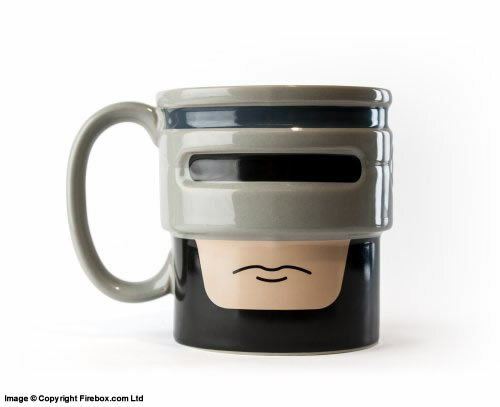 “Dead or alive, you’re…” drinking a tea. To finish off, I have to say all of the above products are available online at firebox.com as well as 1,000s of other things that you never thought you would need until you went to the website. At the end of all, good, press releases there is a section to tell the likes of me a little bit more about the company. 99.9% of the time it’s very dull and corporate. This time we get something truly interesting about the company.